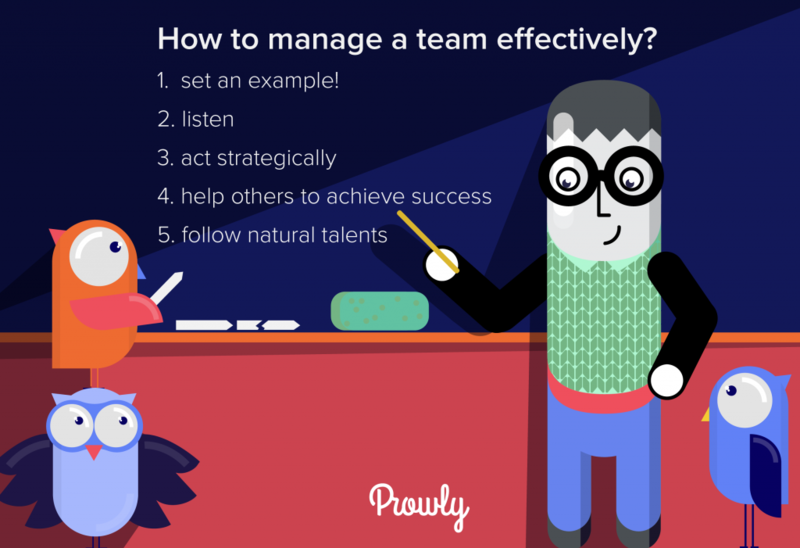 This article looks at some of the key things that team managers need to do if their team is to thrive and succeed. Being a PR professional means working with many challenges. In this industry, professional achievements are dependent on many aspects, but teamwork is one of the keys to success. As the owner of an agency, I have to rely on my co-workers’ efforts in order to provide my clients with appropriate services. As a leader, I am responsible for clear communication of what must be done and for motivating the team to work at top speed. 1. How Do I Manage My Team? Firstly, I Set an Example! If you want your employees to build relationships with the media, take the initiative and do everything that is necessary to complete a specific task – you also have to be engaged in it. I am in charge of making sure that all my employees have finely tuned skills for pitching targets and preparing follow-up reports. I provide them with manuals, clear briefings and detailed instructions. In order to put something out, one must first put something in. My employees tell me what kind of management they want! I know they need to understand their tasks, as well as be told why we do a specific thing and what should be its effect. My availability and trust are also very important to them. I do my best to devote time to my staff and to listen to what they want to say. You can only manage emotions face-to-face – or via Skype. 3. Thirdly, I Act Strategically. In order to manage time and priorities in my agency, I have to operate smoothly in three areas: define a vision of success, measure it with the use of indirect aims, as well as choose and realize appropriate projects. Work in the PR industry is multifaceted and complex, but I avoid multitasking as much as I can. In terms of productive work of an agency, it is crucial to identify and optimize a weekly rhythm – time management that will allow for both conceptual and strategic tasks, and for dealing with unscheduled events to the satisfaction of all involved. 4. Fourthly – I Help to Achieve Success. David H. Maister, the author of the book “True Professionalism,” says that “Most professional firms are very good at demanding that people succeed, but are pathetically bad at helping them to do that.” If your aim is to create a perfect, prosperous company, you will not achieve it by saying to your staff: “We will give you a reward if you figure out on your own how to achieve success.” The source of high morale in a company and, not accidentally, its outstanding successes lies in the ability to create a place where the staff helps each other. 5. I Follow Natural Talents. One of my greatest discoveries in my work was the fact that people engage themselves if they take advantage of their strengths instead of trying to correct their weaknesses. I once had an occasion to reprimand a member of my team whose work as an assistant did not meet our standards. After half an hour of fruitless discussion, I finally asked him, “What would you actually like to do?” My employee brightened up and said, “Write press releases!” By allowing him to do what he did best, his level of engagement significantly rose, and the quality of his work surpassed my expectations. Let us allow people to do what they aspire to!